Hangzhou Dowell Magnet Co., Limited is specialized in developing and manufacturing a comprehensive range of permanent magnetic materials, such as Neodymium magnet, ferrite magnet, flexible magnet, AlNiCo magnet, SmCo Magnet and so on. We offer different shapes and full range of sizes, with abundant experiences in the Magnetic Industry and total quality management, we are willing to develope new products according to different requirement. 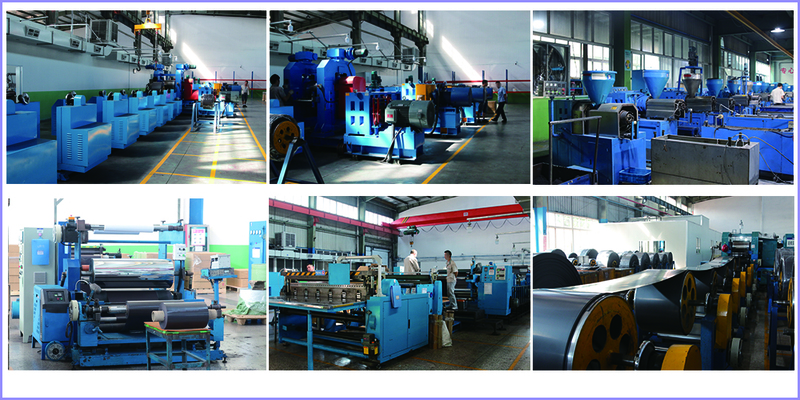 We set up producing factories in “The Capital of Magnetic Products” – Dongyang City, Zhejiang. After decade years of expansion, we have grown to be one of the important magnet suppliers in China. Our products are widely used in different fields, specifically for electrical, electronic, electro-acoustic, communications, sensors, instruments, meters, equipment, hardware, stationery, locks, toys, gifts, plastic, medical, health care products and other industries, provide professional technical services and related magnetic products. Our company takes “Good Communications, Faithfulness, Promise-Keeping, Quality Products, Serve Customers Heart and Soul” as our managing mission. Our products are well received by overseas customers. We have passed the evaluation of ISO9001 international Quality System Certification. 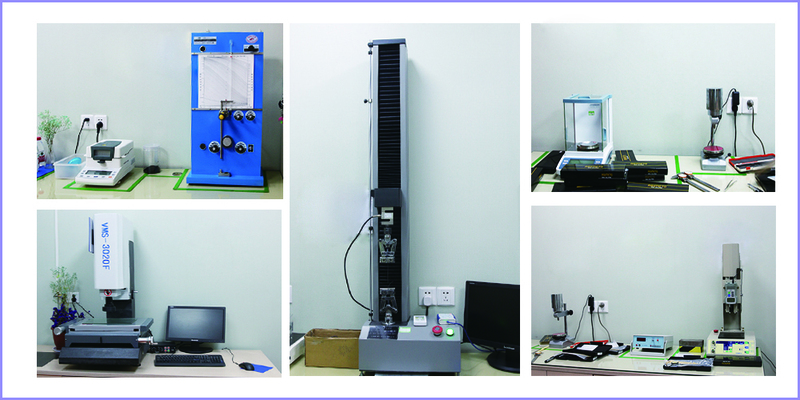 Our company strictly carries out the manufacture according to ISO9001: 2000 standards. Our products are sold to over thirty countries and regions. We will, as always, sincerely cooperate with extensive friends from all over the world by the first-class quality and service for the purpose of joint development. 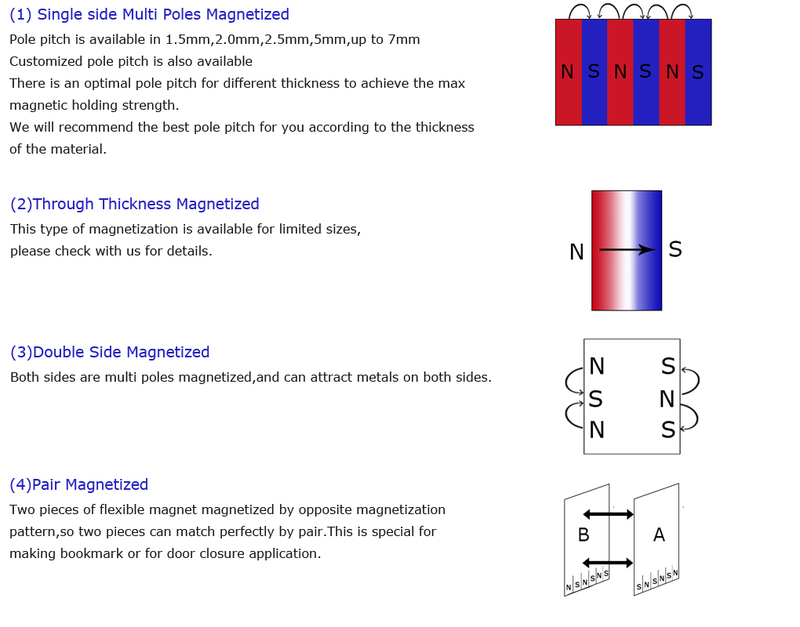 Following is standard magnetization pattern of Flexible Magnet,we can also magnetize the materials according to your requirement,please check with us about your special requirement.